This green alien ring is the first female Alien I’ve seen in a long time. 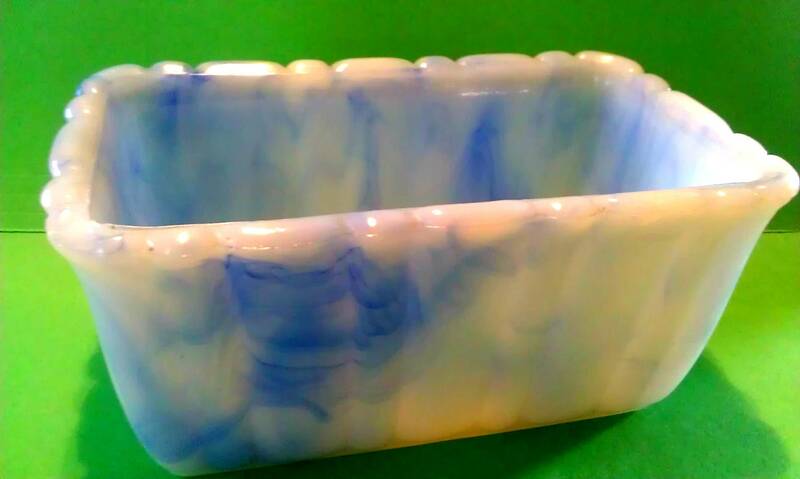 So cute and only $5 makes it a great green gift idea. Update: may 2017 we could’t find active products but we kept this post in case the Bunnie Buns Shop on Etsy comes back to life! Bunnie Buns Shop was run by Michelle from Stony Point, New York. 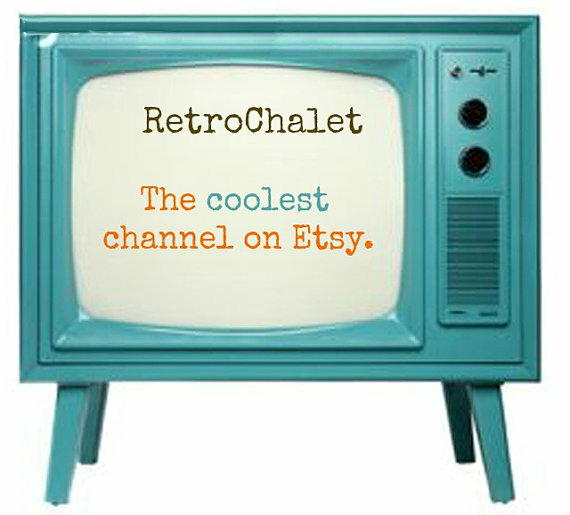 She has cute whimsical handmade jewelry, which she refers to as “acrylic geek-chic & kawaii jewelry” in her shop. 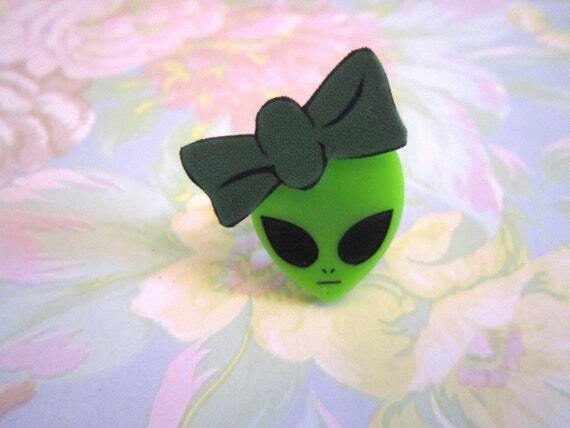 Check out this awesome Alien Ring with Bow, only $5. 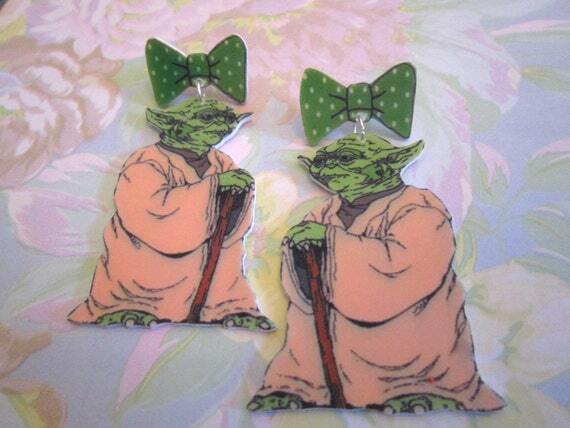 My favorite are these cute green Yoda earrings, with bows. This is perfect for any geekette. They remind me of some shrinky dinks i played with as a child…and are made of acrylic. They are nice sized and you can get them pierced or clips, just contact her for your preference. She also has novelty skirts, and animal purses. 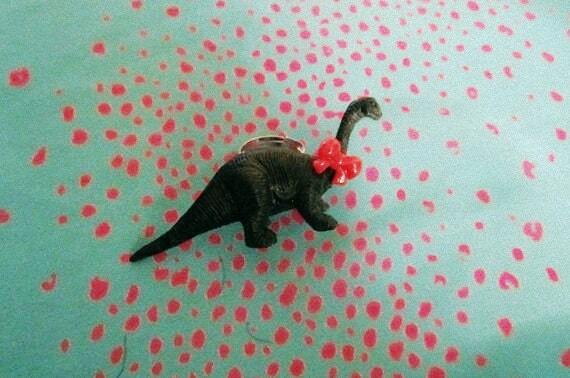 This dinosaur ring is part of the mega sale and is only $2.95! Although most of the items in her shop are at super deals, she is currently in the middle of revamping her shop. She says to be sure to check out the MEGA SALE section where items are $3 or less . Hurry, those items will be gone real soon. Now you can look like an Elvis fashionista with these hunks of vintage burning love, red (accented by white and black ) just fab for the fashionista who loves vintage shoes!